From Goodreads.com: "New York City is a place full of whispers and ghosts. It is impossible to walk the sidewalks there without considering the lives and paths of those who walked them before; those who left their imprints – visible and hidden – on everything that makes up the city today. 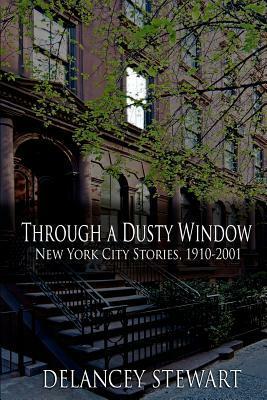 Through a Dusty Window is a collection of ten short stories spanning a century between 1910 and 2001, all of which take place in the same Upper West Side brownstone apartment. Through each vignette, readers are given perspective on historical events that deeply influenced the city, filtered and understood – or misunderstood – through the eyes of Stewart’s characters. From Prohibition to World War II; the Vietnam-era Summer of Sam killings to John Lennon’s murder – Stewart’s stories give modern day explorers a chance to see the city as it was, and to answer the question: who was here before me?" "Through a Dusty Window" is a short story collection set through various decades in one New York City apartment. It is definitely a fascinating idea for a set of stories. My house was built over 100 years ago and my husband and I have had several conversations about who might have lived in our house before us. You wonder what they were like and what the town was like at the time that they lived here. I really wish that we had a better history of our house but I digress... I really loved the premise behind this book. All of the stories in this book are in chronological order. 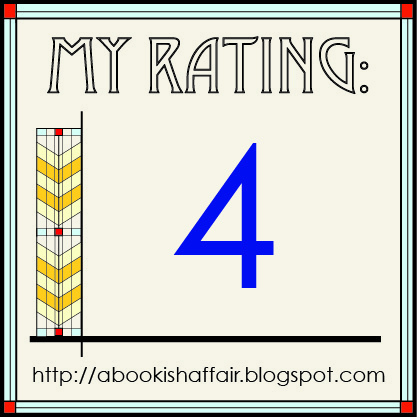 Being a historical fiction lover, I really liked the stories towards the beginning of the book. The one that takes place in 1910 (which has to do with the different classes of people of the day) and the one that takes place in the 1940s (which has to do with World War II). The 1990s story was the only one that I really did not care for. It's very different than the other stories and has to do with some of the excesses in life. It just didn't resonate with me very much. Each story is unique and has a new set of characters. Although these are short stories, this book is chock full of memorable characters. Stewart knows how to make you fall for the characters quickly! Bottom line: If you are looking for a short story collection with interesting characters, this book is for you! I love the concept behind this book. A collection of stories from one apartment. It makes me think of the tv show on HGTV "IF these Walls could talk..." Sometimes, I wish I knew the history of my home. It's over 100 years old so it's got to have a rich history. I'm not normally a fan of short stories, but the way these tie together from the same apt fascinates me! Thanks for the review. I really enjoyed reading this one. I too appreciated the early stories best - I also liked the one about the blackout - I can't remember the date. My favorite was the 1920's prohibition era one. Great review. That is a unique idea for a set of short stories.